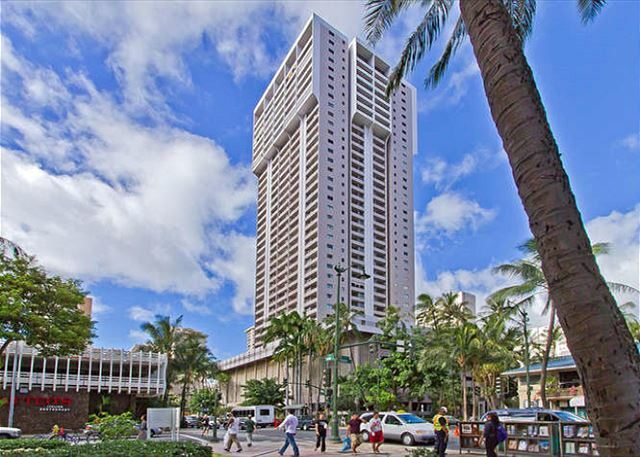 Honolulu Rental Guide | Owner Direct Vacation Rentals Inc.
Honolulu (from the native words hono, meaning "a bay," and lulu, meaning "sheltered") is the capital and main port of Hawaii, on the southeastern coast of Oahu. For centuries Honolulu has been an important commercial and cultural area. Honolulu is the heart of Hawaii. The state government and university are here, so are botanical parks, a fine aquarium and zoo, a floating maritime museum and the world's foremost museum on Polynesia. Explore historic Honolulu’s royal palaces, museums, and art galleries all a stone's throw away from your Honolulu vacation rental. Waikiki, 3 miles east of Honolulu, with it's white sand beaches and luxury coconut groves, was a favored spot of early monarchs. 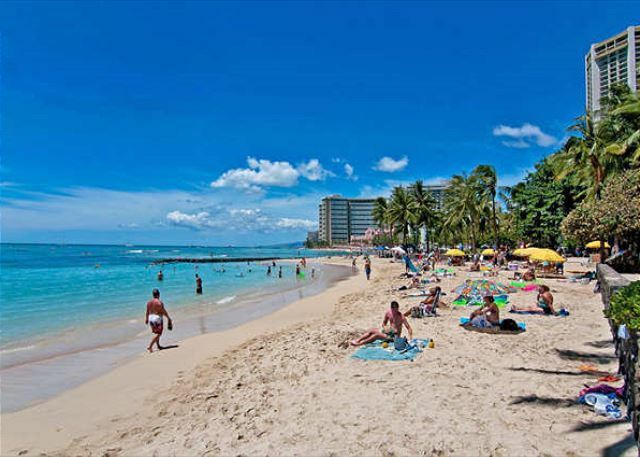 Today Waikiki is the most famous and most visited beach on Oahu. Activities include surfing, snorkeling, boogie-boarding, canoes, paddle boats, beach volleyball, beginner surfing, catamaran and outrigger canoe rides, diving, sailing, snorkeling and pole fishing. Rent holiday lodging directly from owners when looking for your next Oahu accommodation. Although not explored by Europeans until the late 1700's Hawaii has been subject to pressures from various seafaring nations who have left their mark on the island. Whalers were principally responsible for bringing trade, commerce, and prosperity which led to expansion into the sugar and pineapple industries. In 1814, Russian soldiers built a bastion at the harbor's edge. American missionaries arrived in 1820. The British flag was raised in 1843 and French forces occupied Honolulu in 1849. Each time control was returned to the independent native kingdom without bloodshed. In 1898 Hawaii was annexed to the United States. The area was bombed by Japan in a surprise attack on the unprepared U.S. naval base at Pearl Harbor on Dec. 7, 1941. This action forced the United States to enter World War II. Today, Pearl Harbor is probably the most well known historic site on the Island. 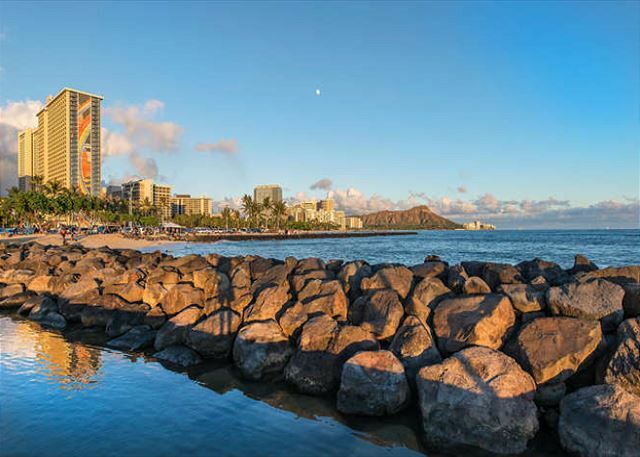 At the south boundary of Waikiki Beach is the world renowned landmark of Diamond Head. An extinct volcano, it is said to have once been the home of Pele, the Fire Goddess. This famous landmark is a favorite of walkers and joggers. Diamond Head Lighthouse and Beach are not open to the public, but the views are outstanding. The extinct crater was once a fort reached through a tunnel. The view of Waikiki and Honolulu is highlighted by board surfers and windsurfers below. There is a tunnel off Monsarrat Ave that goes inside the crater. From there it is a half hour hike to the top with the famous view. Hawaii condo vacation rentals can also offer stupendous views from their balconies. Beach Weddings in Hawaii – Beachwed - Whether you get married on a pristine Hawaiian beach, at a majestic rainforest waterfall or in a quaint chapel, we help make your romantic dreams come true... in the timeless tropical islands called Hawaii. Hawaii Fishing Adventures &anp; Charters on Oahu, Maui, Kauai and Kona. Hawaii fishing information, tournament schedules and more.